Sorry, but you are looking for something that isn't here. Please try to use different search terms. Provide informative data and innovative solutions for resolving challenging workholding problems. Assist in selecting the right workholding fixture and chuck applications...plus, cost-saving workholding techniques. 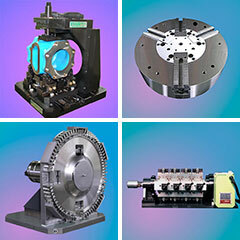 Royal Machine Celebrates 65th Anniversary Of Providing Workholding Services & Technology! Royal Machine Reconditions Chucks For National Acme, Kaufman, New Britain & Goss Machines for Less Than 50% of the Cost of Purchasing New Chucks! New Royal Machine JS Series Modular Chain Fixture Designed For Small & Medium Size Machine Shops.